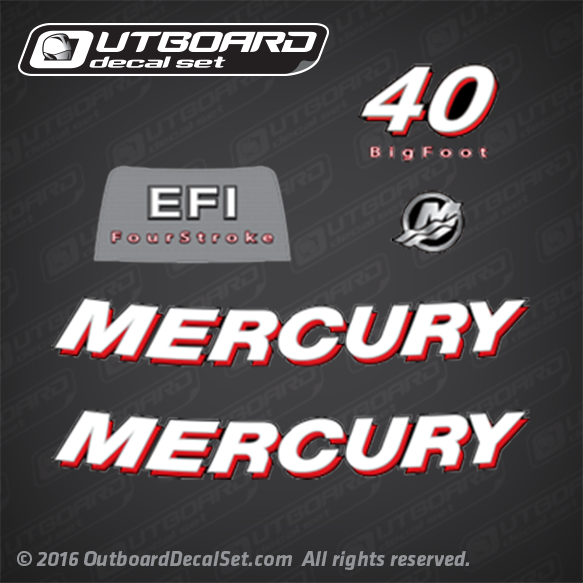 Mercury Decals - Stbd side. ELPT-BF 4: 1A41452EZ, 1E41452HB, 7A41452IZ. ELPT 4: 1A6C413KZ, 1E41412HB, 7E41412ZB.